If you're looking forward to the new Teenage Mutant Ninja Turtles: Mutants in Manhattan game, then you may want to choose your method of pre-ordering carefully. Picking up the game from GameStop vs a few digital retailers means the difference in "rock n roll" outfits and samurai ones. The samurai clothes you see Leonardo, Donatello, Raphael, and Michelangelo sporting in the image above can be yours if you go now (or have already gone) and pre-ordered the game from the PlayStation Store, Xbox One store, or Steam. If you're getting it from GameStop, then you'll enjoy the rock-themed costumes seen below. 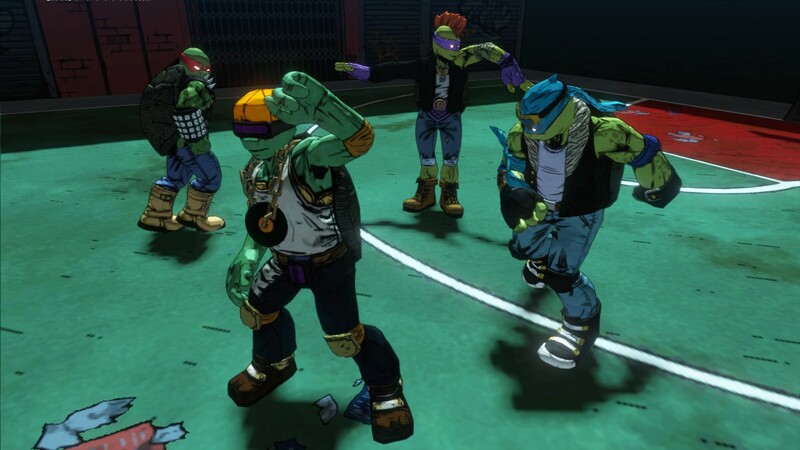 None of these outfits will confer any kind of bonuses to your turtles, they're purely cosmetic and "just for fun." 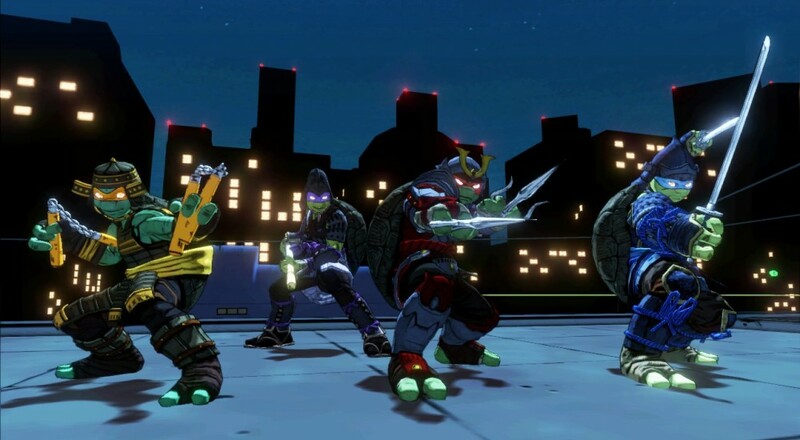 Teenage Mutant Ninja Turtles: Mutants in Manhattan supports four player online co-op and should be released on May 24. Page created in 0.8446 seconds.